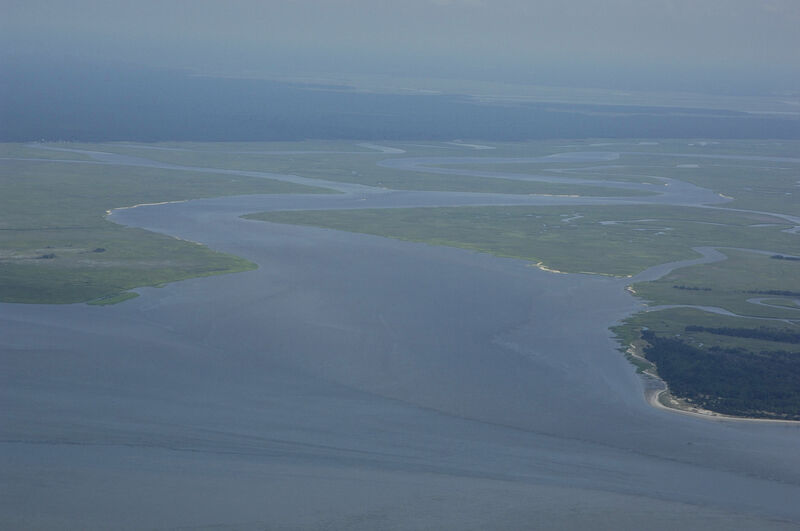 The Bear River is a winding piece of water the separates Ossabaw Island and Belle Isle near Intracoastal Waterway Mile marker 617. 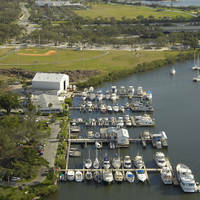 Though there are no major marinas or marine facilities nearby, this junction is on one of the many sounds you will have to navigate in the Georgia section of the Intracoastal Waterway. The image above is a view from the south looking north over the Bear River where it empties into St. Catherines Sound. Ossabaw Island is on the right (east), while Belle Isle lies to the left (west). 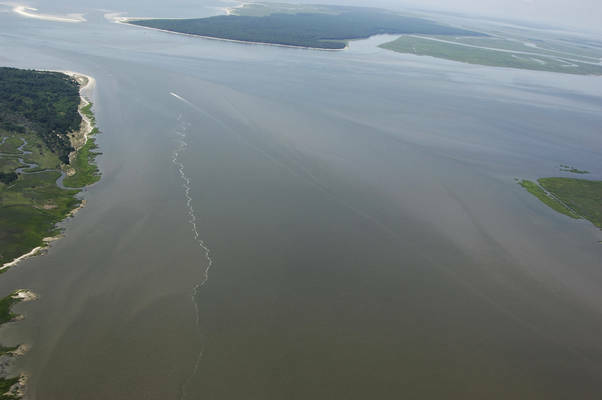 Farther off in the distance (in the top portion of the image) is Ossabaw Sound, which is a 10-mile journey north up the Intracoastal Waterway. Use NOAA Charts 11511 and 11507. Aside from a current that can run at speeds up to four to five knots, the Bear River/St. Catherines area is easy to navigate and is well marked along its length. Approaching St. Catherines Sound from the north, flashing red 110, on the west shore of the Bear River, is the first mark you will need to pick up as you proceed toward the opening at St. Catherins Sound. Once you have cleared flashing red 110, set a course to the southeast toward red daybeacon 110A, which marks a shoal to its west. Make sure you dont cut the marker too close. Flashing red 112 will lead you into St. Catherines Sound a little farther south, and it is followed by flashing red 122, flashing red 114, and flashing red 114A, all of which are designed to keep you off the shoal at Middle Spit to the west of the markers. 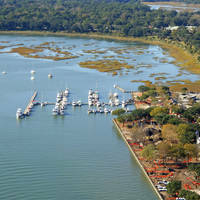 After flashing red 114A, the Intracoastal Route bends southwest into the Newport River near ICW Mile 620. Those wishing to make an offshore hop can use St. Catherines Sound, as it is relatively well marked with good depths, but make sure you study the chart ahead of time and consider your course carefully. No reviews yet! 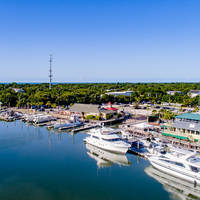 Be the first to write a review of Bear River Inlet.